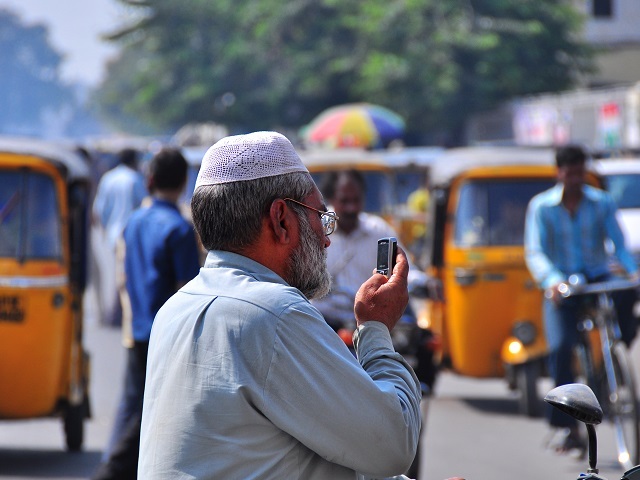 Residents of Hyderabad, India, can use mobile devices to be a part of the planning dialogue—whether it is creating clearer maps of the city or crowdsourcing infrastructure projects. Photo by Nietnagel/Flickr. Instead of arguing about how their city did not have enough money to fund the creation of bike paths, a community in Mexico City, Mexico, went ahead and made them. When residents in Beijing, China, saw that cars were encroaching on pedestrian paths, they created a website to stop this. Social media and crowdsourcing have opened up exciting new avenues for public engagement and participation, yet cities are often hesitant to embrace these new mechanisms as a legitimate form of public participation. Some, perhaps, see the public’s engagement with these social platforms as a fad; others might be worried that social networks might bring to the floor controversial viewpoints or weaken institutional control. Despite these perceived risks, examples from around the world show that now more than ever is the time for city leaders to recognize the potential impact of crowdsourcing and social networks, which have the ability to radically change how cities collect data, implement projects, and create innovative solutions for improving quality of life for urban residents. Public participation through traditional planning commission meetings typically means representation for older, affluent residents who have the time and ability attend dozens of three-hour long meetings, and miss engaging with younger demographics. The meetings are often focused on what they do not want to do, rather than formulating a viable plan that moves their community forward. Social media can change this planning process by giving a wider audience a voice, as well as broaden the number of planning issues considered. This trend is seen in the United States with the Transit Cooperative Research Program (TCRP) and the Federal Highway Administration, which are both finding ways to engage citizens across demographics and find transport solutions that work for everyone, no matter their region of origin or physical capabilities. This call for a new voice in public decisions is also seen in Porto Alegre, Brazil, started by the open portal Datapoa which gathers information directly from the city’s residents on themes including mobility, environment, geography, urban sanitation, and public health. This allows a greater variety of urban residents to learn and actively participate in the dialogue surrounding the development of their city. The primary mode through which local governments collect data remains surveys. Surveys are limited by low response rates and there is often a significant lag time between when surveys are written and their results are finally analyzed. Through social media, however, data collection can be done in real-time and in a format that can be easily analyzed and quickly communicated. For instance, Crashstories.org is an initiative of New York City’s Police Department in which a user generated database records traffic crashes and displays them on an interactive map. Meanwhile, in Chennai India, the online platform Transparent Chennai brings together data from Google Maps and citizens’ cell phones to show where there exists a need for more sidewalks and pedestrian foot paths. For countries without the institutional capacity for large planning departments or the money to conduct reliable censuses, these user-generated databases are indispensable for cities to diagnose and track problems, whether this relates to traffic jams or malaria outbreaks. More often than not, people know about the problems they face. Crowdsourcing can be used to pool intellectual capacity and local resources to solve these problems. For instance, the city of Chicago’s bike-share program Divvy has an online portal which asks the user to suggest locations for future bike stations. New York City took a more visual approach, creating a 3D visual map of the city called Betaville for citizens to change around the design or add in designs of their own, in a planning process much akin to the Sim City videogame. This lets New York’s planners know what aspects of the city people want to change, as well as pull from millions of talented residents to find a solution. In a more serious turn, the app Ushahidi which is best known for leveraging the skills of diverse communities in times of crises – having worked most notably in Kenya, Haiti, and Syria – is expanding both the countries who can use the application and what the application can be used for. Soon it will be able to track women’s access to education, delivery of medical aide, and pitfalls in cities’ transport networks. All around the world, crowdsourcing and social networks are helping to change the planning dialogue, bring data into policy discussions, and leverage local talent and resources to find the best solutions to difficult transport problems. Local governments should not only acknowledge but encourage the use of social networking and crowdsourcing in governance. These new tools will likely prove vital in engaging the citizens of today to help in building the sustainable cities of tomorrow.